After the abolishment of the government monopoly on salt (shio) in 1997, Okinawa emerged as the leader in independent salt production. There are over 30 salt manufacturers producing more than 150 types of salt in Okinawa alone. The Sea of Okinawa is rich in minerals; the salt produced from its water contains the highest number of natural minerals such as calcium, potassium, zinc, and magnesium. 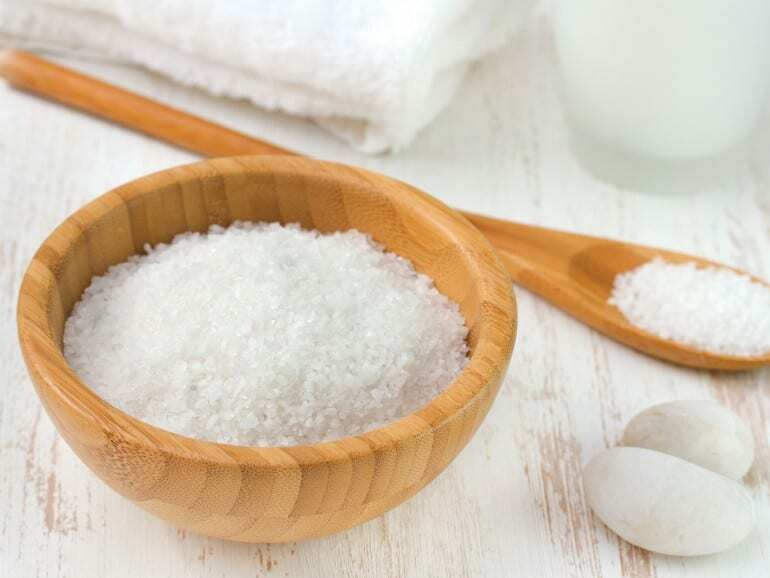 Sea salt from Okinawa is also known to contain 25 percent less sodium chloride than the other salt products on the market, and has a distinctive hint of sweetness to its flavour. Visitors to Okinawa can also experience firsthand how sea salt is produced, in a facility known as the Gala Blue Ocean, located along the scenic coast of Yomitan. One of the most popular sea salts from Okinawa is undoubtedly Nuchi-masu, which was registered in the Guinness Book of World Records in 2000 for its significant mineral content. Another popular variant of sea salt from Okinawa includes Ishigaki salt, harvested from the waters around Ishigaki, the most inhabited and developed island of Okinawa Prefecture. Ishigaki salt comes in three basic variants – the first and most common is a fine powder that can be used in daily cooking, and is known as Ishigaki no shio (Ishigaki Salt). The second is a roasted version known as Yakishio and is typically used as a table salt. The third is a coarse grain variety known as Tenpiboshi (sun-dried salt) and is perfect for marinating steaks or other heavy meat dishes. Another region famous for the production of sea salt is the Noto Peninsula in Ishikawa Prefecture, which faces the Sea of Japan. Here, the sea salt is produced by drying sea water at a low temperature, followed by a condensation process and finally, crystallization on the surface of dense seawater. This tempered process ensures that the loss of precious sea minerals is kept to a minimum, and also lends the salt a delicate umami flavour.